Sailing around the world with Fischer Panda on board - "Thor Heyerdahl"
Each day at 2 p.m. Mr. Mario Bregulla offered his insights into the sailing school ship "Thor Heyerdahl" at Fischer Panda stand 10G22. 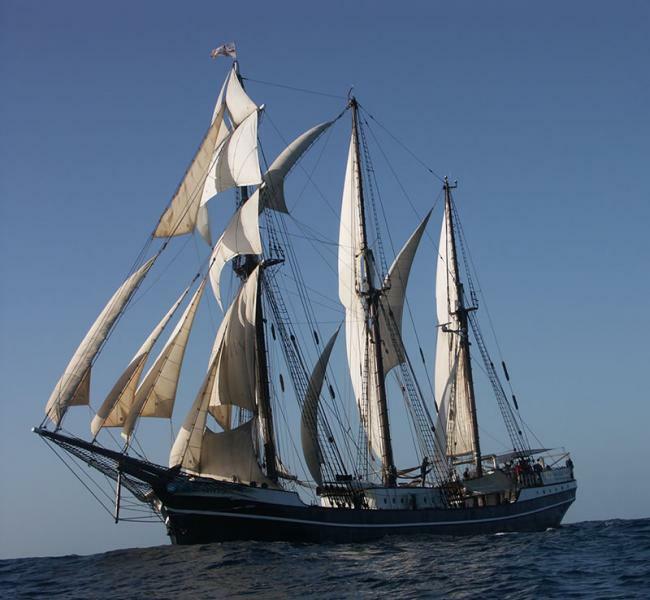 For nearly 30 years the "Thor Heyerdahl" sailing ship has travelled in the North Sea and Baltic Sea, to Norway, England, Central and South America providing adventure and experiential education for young people. " Thor Heyerdahl" voyages have started in 1983; from October 2007 until May 2009 the vessel was completely overhauled and refurbished at the HDW shipyard in Kiel. The ship can accommodate 34 participants; young people aged 15 to 25 years from all social classes. During their sailing trips qualified teachers and mariners look after them and train them. It is the aim of the sailing trips to promote the participants in the development of their self-independence and their acceptance of responsibility, to encourage them to "tackle" a problem themselves and to discover that they can achieve more than they might think. Since 2014 the "Thor Heyerdahl" has installed a 36kW Fischer Panda generator, model: Panda 45i PMS, which ensures reliable power supply. The high-performance Panda 45i PMS (with an output of 36 kW or 45 kVA respectively) has been designed for large marine vessels and superyachts having varying electrical demands. Variable speed technology takes full advantage of its modern diesel engine designed to run at low speeds and which meets current emission standards. The engine speed is regulated according to the electrical load which makes it economical to run and reduces the change intervals for service parts. Thanks to the inverter technology, emissions and fuel consumption are up to 30 % lower than an equivalently rated traditional generator running with a fixed speed. With a weight of only 520 kg the Panda 45i is considered as lightweight. This model offers weight and volume savings of approx. 30 - 50 % as a result of its compact design and the integrated inverter. Another important advantage is, of course, the low sound emission of the generator while operating. As the generator uses 100 % water-cooling for engine and alternator, no cooling air or noise leaves the capsule. The Thor Heyerdahl is currently travelling near Panama. The daily presentations included live transmissions to the sailing vessel.